A Wanted Poster for a local gang, sealed with the Marshall's wax. Hunt down the crew and their leader for a Bounty Reward! With this in my inventory, the Bounty Hunter Mouse will avoid my trap, as I can only hunt down one of the Wild Bunch gang at a time. 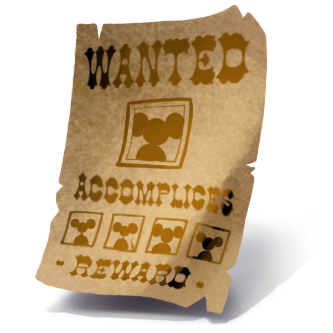 Wanted Posters are found in Sealed Wanted Posters dropped by the Bounty Hunter Mouse in Claw Shot City. Hunters are limited to one Sealed Wanted Poster in their inventory at a time. 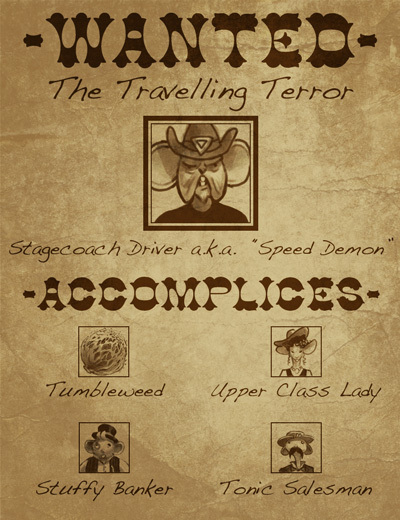 Wanted Posters function as Treasure Maps, except that Hunters may only invite 1 friend to help in the hunt. 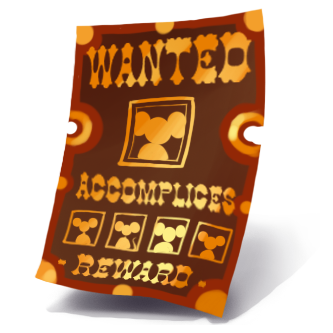 I successfully completed a Wanted Poster: (Name of Gang)! The Marshall granted us our Bounty Reward for turning in this lawless gang of the Wild Bunch. Time to find another Wanted Poster! I should claim my reward now! There are 6 groups of mice found on Wanted Posters and which group a Hunter finds is completely random. Each Wanted Poster contains one Ringleader and 4 Accomplices. It does not matter where the Accomplices are caught, but all 4 must be captured before the Ringleader can be encountered. Bounty Rewards are given to Hunters for completing a Wanted Poster. 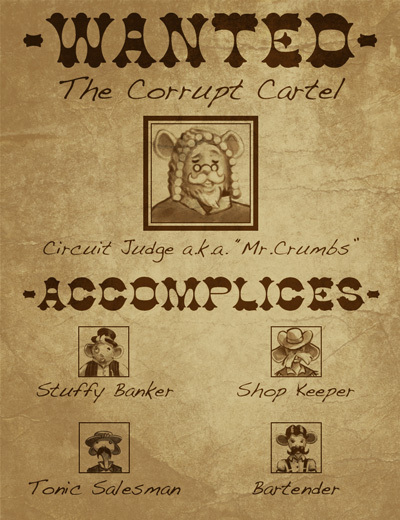 The contents are the same regardless of which group of mice is found on the Wanted Poster. With the beginning of Season 3 of Treasure Maps, Bounty Rewards begin rewarding a much smaller selection of items that are targeted at the Varmint Valley area. Contents of these chests do not change with the treasure hunting season. The contents of Bounty Rewards granted during Season 1 and Season 2 are shown below in the Original Rewards section. Bounty Rewards granted after the introduction of area-specific Treasure Maps include items from the lists shown below. These items are found in each Bounty Reward. Rare bounties are awarded to Hunters who have used Rare Map Dust on a Wanted Poster. Hunters will receive a number of items from the following list. Hunters may receive multiples of some items. The rewards outlined below pre-date the beginning of Season 3 and the introduction of area-specific treasure maps. Gold and Points increase with the Hunter's rank and are awarded based on the rank held when the bounty is opened. These items are only rarely found in Bounty Rewards. Rare bounties are more likely to contain one or more of these items. 25 June 2013: Wanted Posters are released with the introduction of Claw Shot City. Only The Thugs were available on Wanted Posters initially. 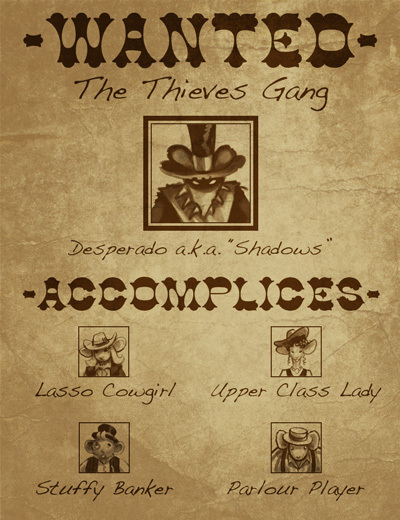 27 June 2013: The Thieves Gang Wanted Poster is released. 1 July 2013: The Scamping Scammers gang Wanted Poster is released. 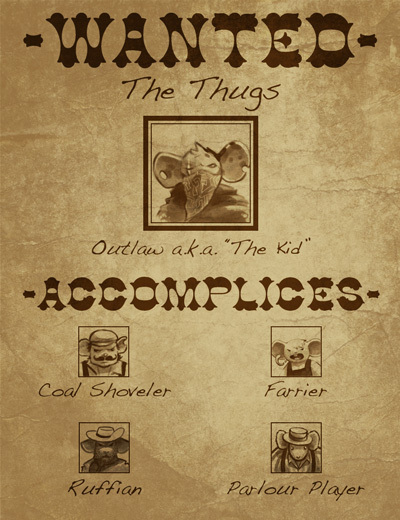 3 July 2013: The Dirt Dealers gang Wanted Poster is released. 5 July 2013: The Dirt Dealers gang Wanted Poster is released. 8 July 2013: The Corrupt Cartel gang Wanted Poster is released. 14 January 2014: After this point, Bounty Rewards no longer contain the Limited Edition Ancient Gauntlet. This page was last edited on 21 October 2015, at 13:40.